Regular eye exams at Papale Eye Center in Springfield, MA, are important in maintaining eye health. Early intervention is crucial in preventing vision loss from a disease such as glaucoma, which may not cause symptoms until significant and irreversible damage has taken place. Early detection of eye problems gives a patient a choice of treatment options and reduces the risk of permanent damage. During a comprehensive eye examination, eye diseases or other abnormalities that are not yet causing symptoms can be detected. It is a condition of the eyes in which nearby objects are clear, and distant objects are blurry. Almost a third of people in the United States have some degree of nearsightedness. Astigmatism occurs when the curvature of the eye is irregular. There are two astigmatisms: corneal, in which the shape of the cornea (the clear covering of the eye) is irregular, and lenticular, in which the lens is imperfectly formed. Corneal astigmatism is more common. Astigmatism can result in blurred vision at any distance. It is a condition of the eyes in which the focus on distant objects is better than the focus on objects closer to the eye, making nearby objects appear blurry. The eye is designed to focus images directly on the surface of the retina; with hyperopia, light rays focus behind the surface of the retina, producing a blurry image. This is a condition in which the eyes lose their ability to focus on close objects. It is considered a normal part of the aging process. Symptoms typically begin when patients are between 40 and 45 years old. 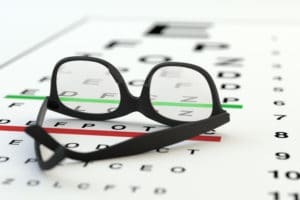 To learn more about getting an eye exam, contact our Springfield, Massachusetts eye surgery center today. Proudly serving patients from Springfield, Chicopee, Agawam, Longmeadow, Ludlow, and Westfield, MA.